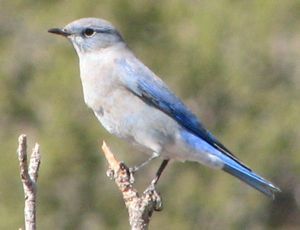 Of these species, the Mountain Bluebird is the most common. Identifying the other species requires experience. As your comfort with identifying the more common species increases, you will eventually make finer distinctions. 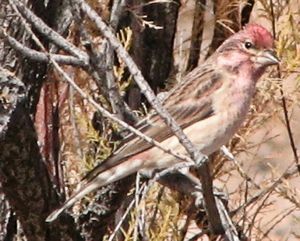 This usually take the form of seeing a "House Finch" that "doesn't look quite right". After a while it sinks in that you are seeing a Cassin's Finch. 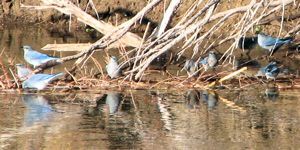 The path to those "finer distinctions" requires tuning in to the details of the birds you are viewing. What is the shape of the bill? Is there an eye-ring? How long is the tail? How would you describe the bird's face pattern? Is the breast streaked or clear? 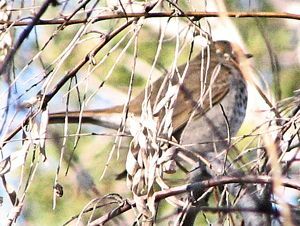 Looking closely like this will lead to seeing other interesting details like what the bird is eating or how a bird cleans its bill on a tree branch. 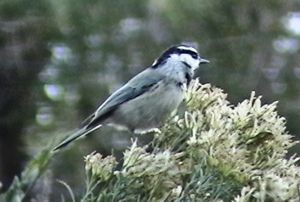 Image Search Very similar to Black-capped Chickadee in appearance and vocalizations. 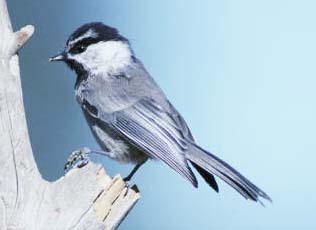 Mountain Chickadee has distinctive white eyebrow. Sound: Fee-bee-bee instead of fee-bee. Black on throat generally more extensive than shown here. Image Search Very similar to House Finch. 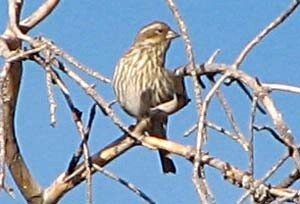 Female (Upper Photo) has cleaner, more well defined streaking than House Finch. 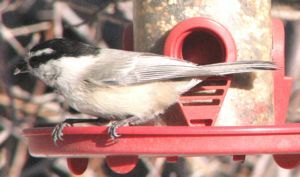 Male Cassin's (Lower Photo), unlike House Finch, is clear breasted. 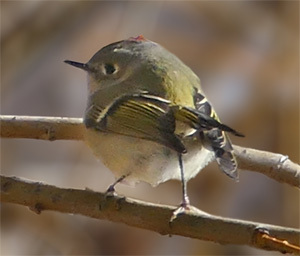 Cassin's has less extensive red than House Finch, but with a well defined red crown patch. Bill appears less curved than House Finch bill.